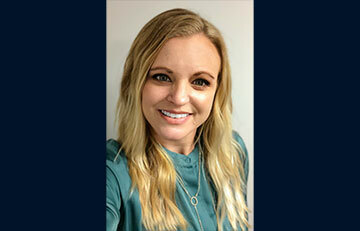 Western Specialty Contractors has promoted Jessica Gitto to the position of National Account Manager. Gitto was previously the Marketing/Assistant National Account Manager at Western. Western’s National Account Program is designed to offer national and regional property owners and managers a single source for the exterior repair and restoration of all their buildings and structures. Each program is custom-designed to meet each customer’s needs, reflecting their policies, procedures and organizational structure. As National Account Manager, Gitto will assist in the company’s efforts to identify, establish and develop relationships with large, multi-location customers. Gitto will also work to establish productive, professional relationships with high-level executives and other key contacts for all assigned client accounts, as well as effectively communicate to customers the benefits of a national account partnership with Western. Additionally, Gitto will assist in coordinating work between the various branch offices and project locations to eliminate the hassle of logistics for Western’s partners, plus coordinate seminars and presentations, work to improve sales growth of national accounts and implement corporate marketing plans. Gitto has a Bachelor of Fine Arts in Communication from the University of Missouri – St. Louis and more than 12 years of marketing, management and sales experience. Gitto started working for Western in 2013 as a Business Development Representative before being promoted in 2017 to Marketing/Assistant National Account Manager where she managed Western’s involvement with such national industry organizations as BOMA, APPA and ASHE. She also organized and attended trade shows and managed Western’s website, social media, branch project profiles and press releases in her previous position at Western.